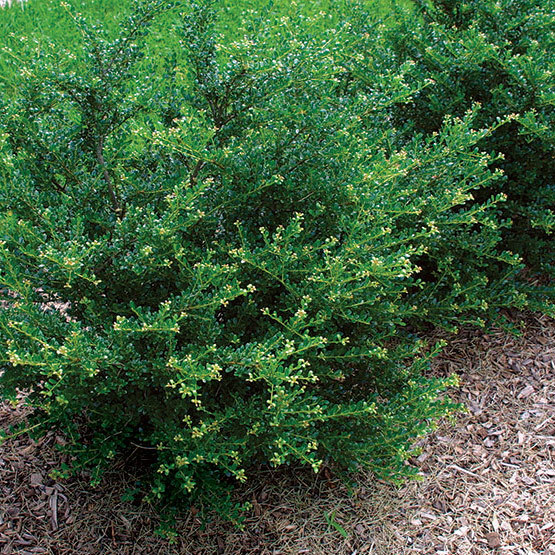 This dense, evergreen holly reaches 6 to 10 feet tall and at least as wide. 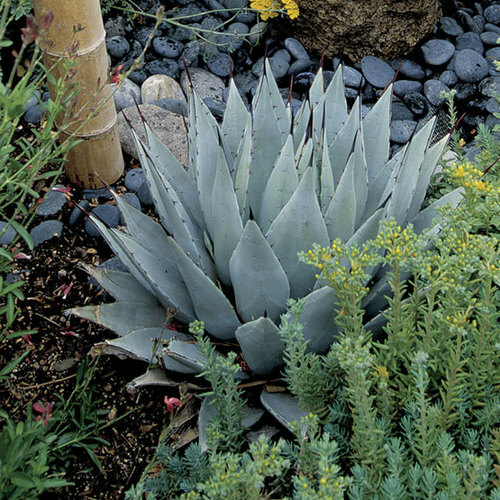 The species is rarely used in landscapes, but there are many cultivars available with more interesting shape and color. 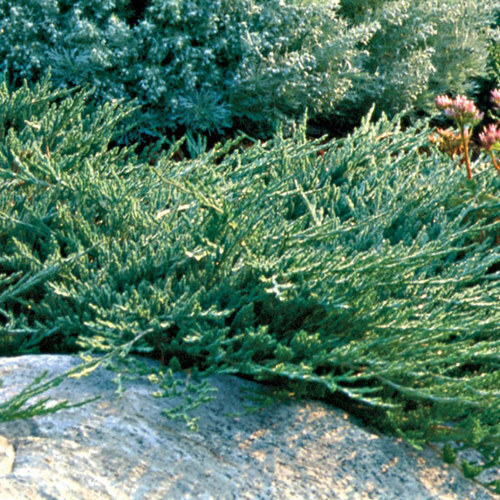 This plant grows slowly, but can be invasive. 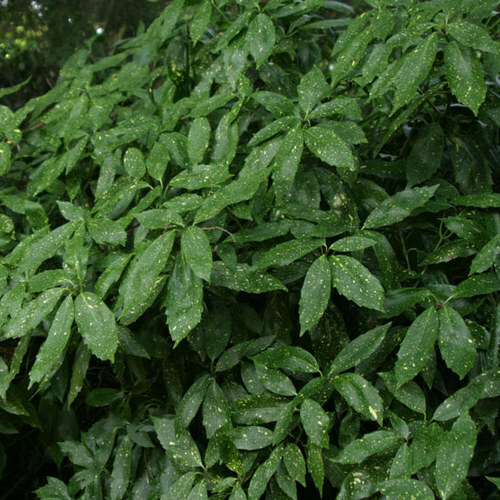 Its dark green leaves are lustrous and the black fruit is hidden beneath them, so it is not obvious as in other hollies. 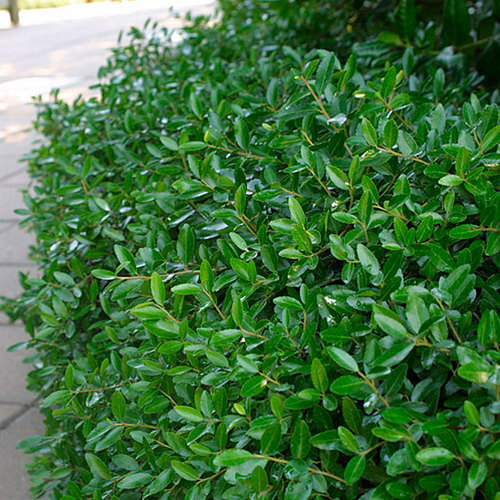 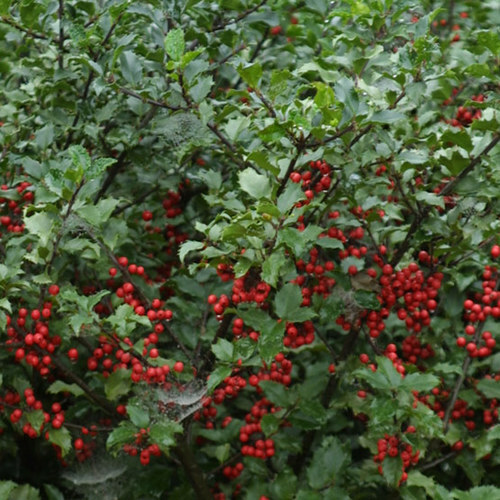 Use Japanese holly in foundation plantings, hedges, beds and borders, or formal gardens. 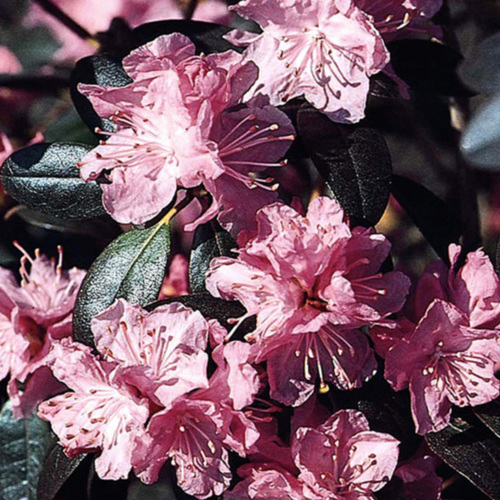 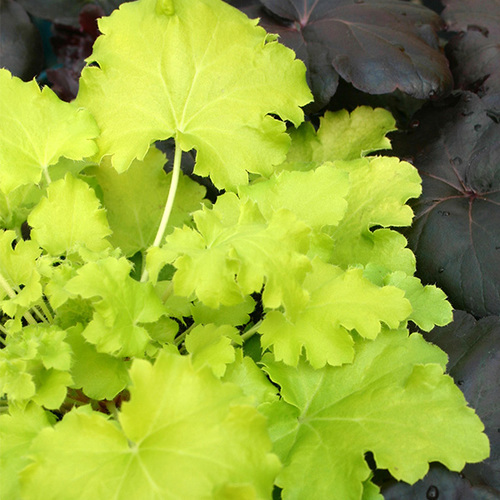 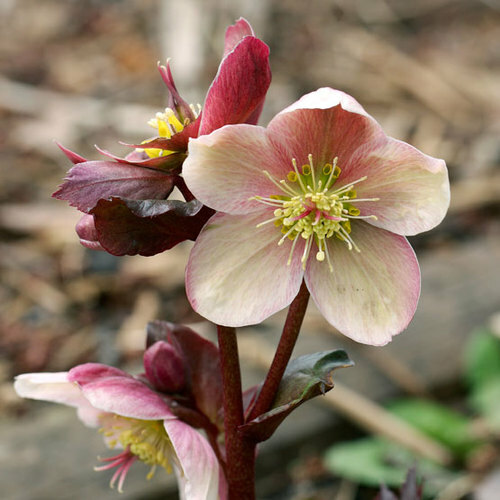 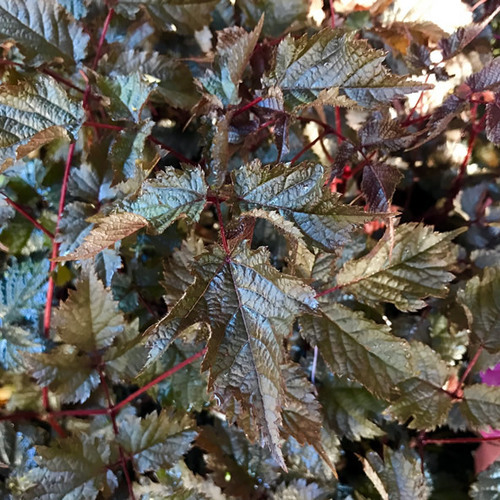 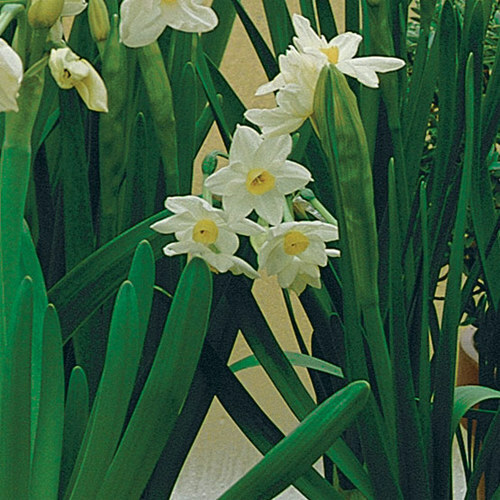 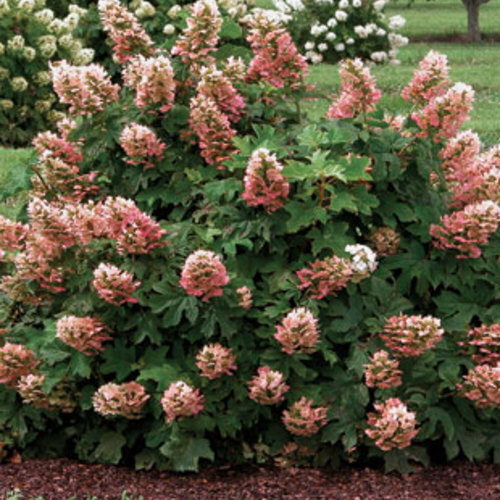 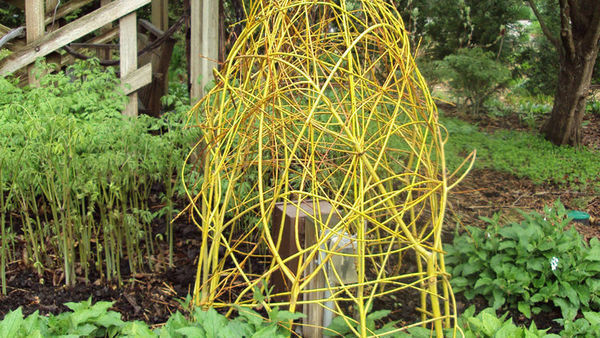 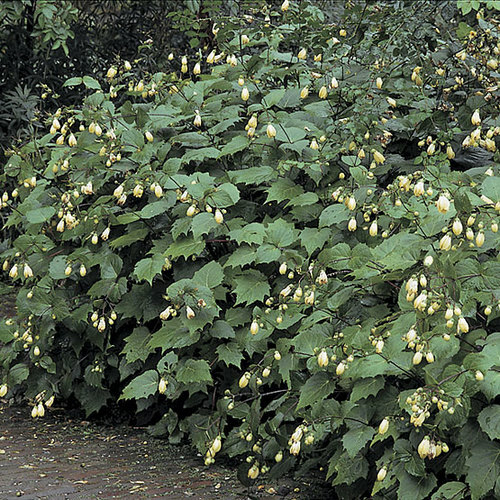 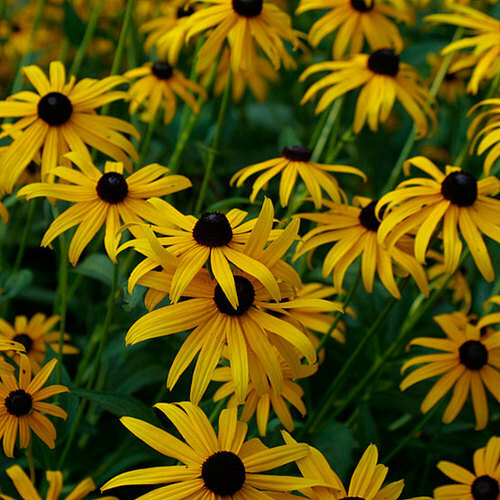 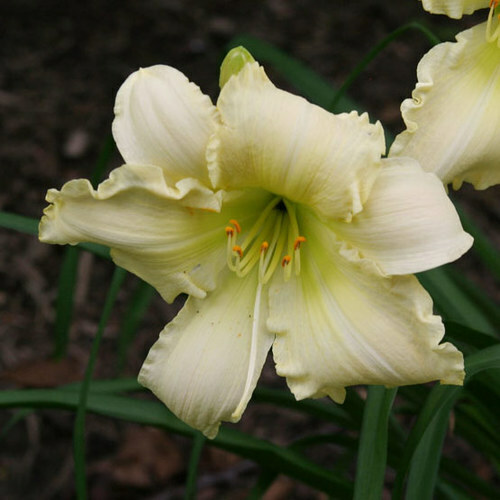 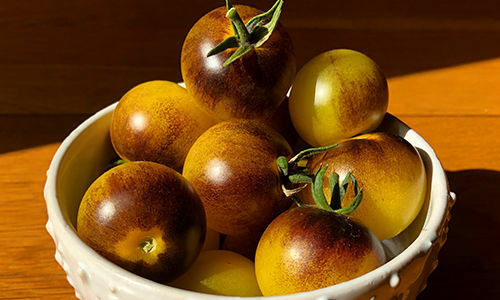 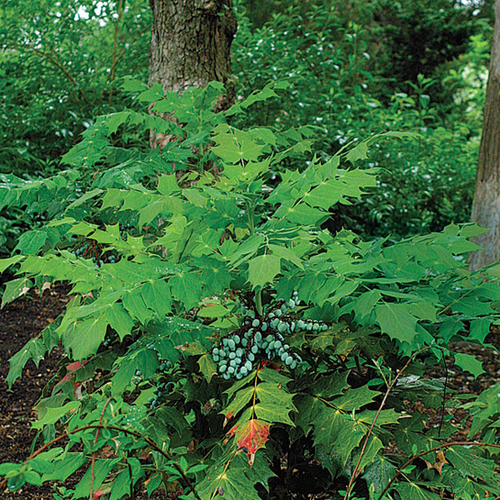 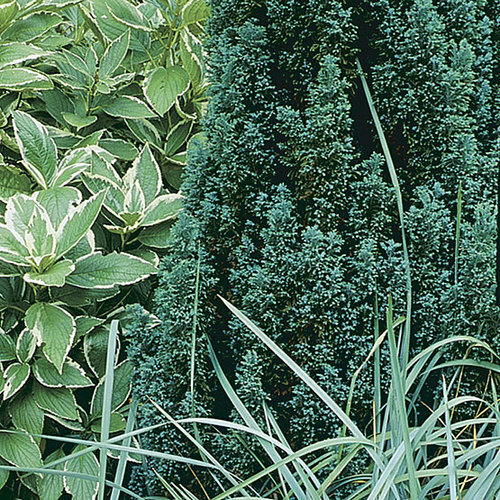 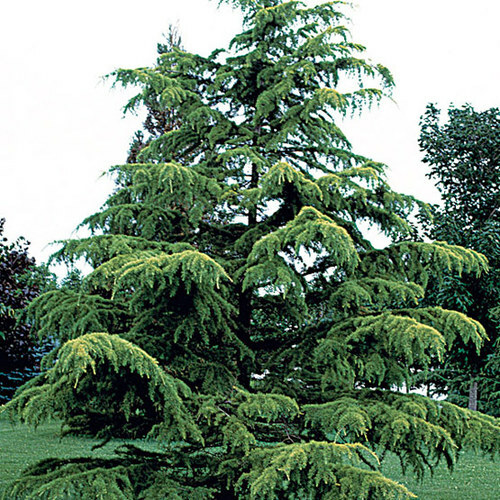 CareProvide full sun to partial shade and moist, well-drained soil in a sheltered location. 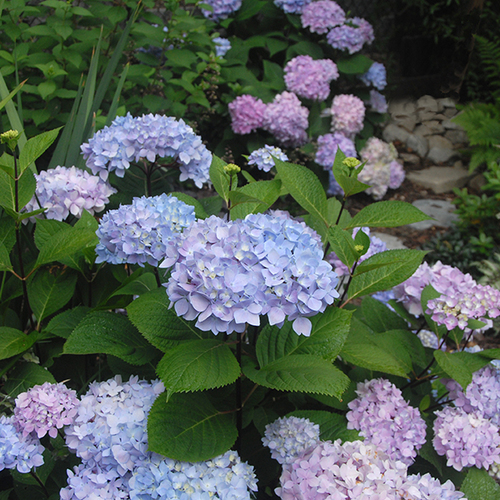 Prefers slightly acidic soil. 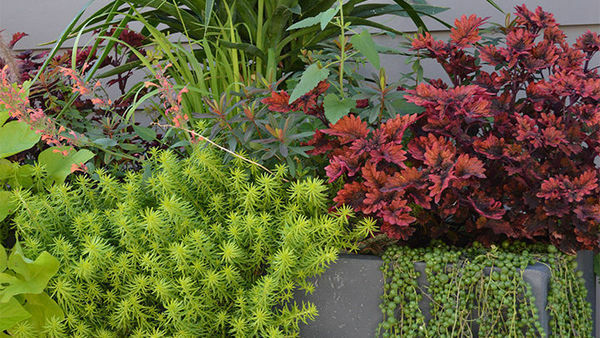 ProblemsFoliar burn, spider mites, chlorosis, Thielaviopsis blight.